A little girl, a child of books, sails her raft across a sea of words and arrives at the house of a young boy. She invites him to go away with her on an adventure into a world of stories… where, with only a little imagination, anything at all can happen. 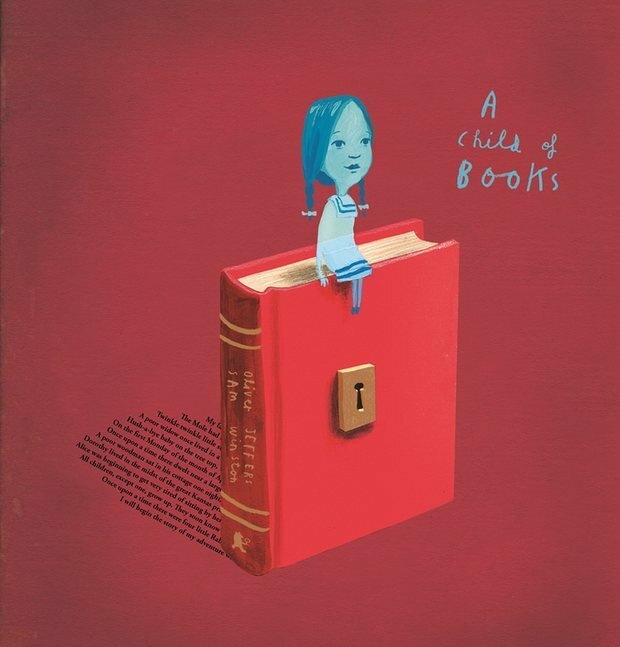 This much anticipated, clever collaboration between Oliver Jeffers and Sam Winston was worth the wait. It is simply stunning! Jeffers lyrical hand written narrative and illustrations are in stark contrast, yet beautifully woven into the typographical landscapes crafted by Winston from classic books. This book invites you to question and explore. It is a true celebration of the magic of books and the power of the imagination. Are you a child of books or are you still waiting to climb aboard the raft and be taken on that journey? What books inspired you? I’d love to know.